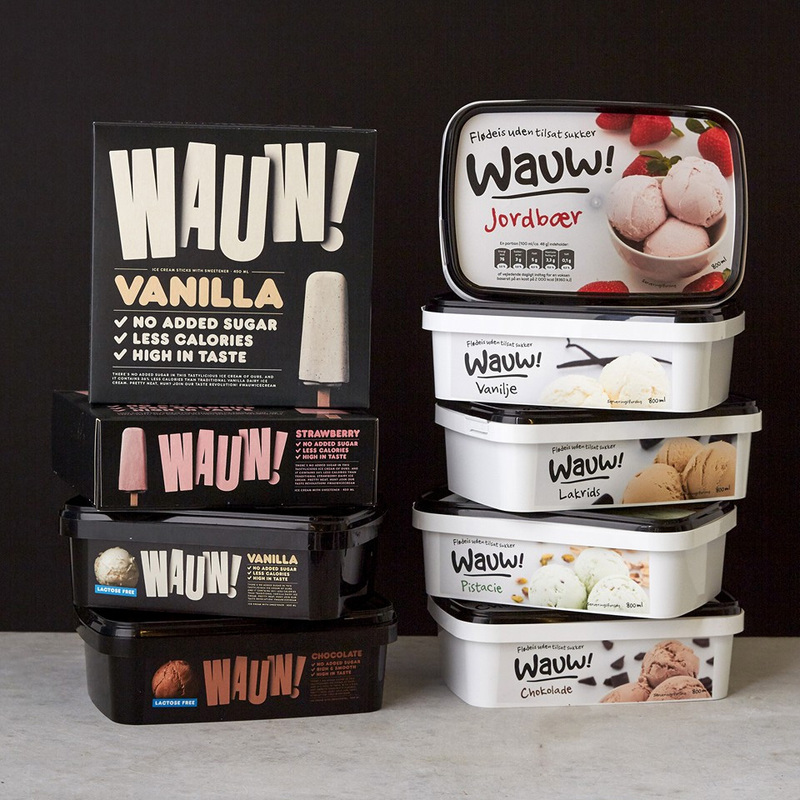 Launched in Denmark in 2015, Wauw is a line of ice cream with no added sugar originally produced and marketed as a product for people with diabetes. 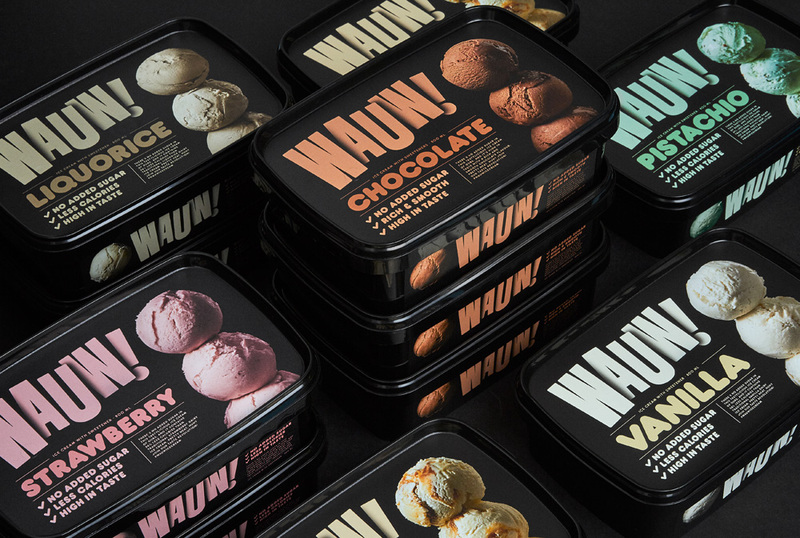 Last year, the company changed the ice cream recipe, still maintaining the lack of added sugar, but not geared towards the previous audience while also introducing the product to Sweden and Finland this year. 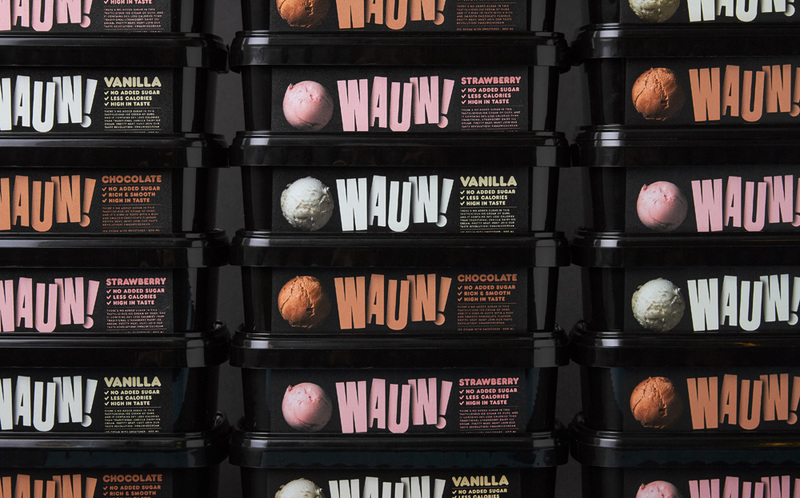 Stockholm-based Snask, with a stake in Wauw, has been a part of the reinvention process of the ice cream, giving them the rare distinction of being a design firm with, relatively-speaking, their own brand of ice cream. The new packaging was designed, naturally, by Snask. In order to differentiate the packaging from competitors we chose a black case. 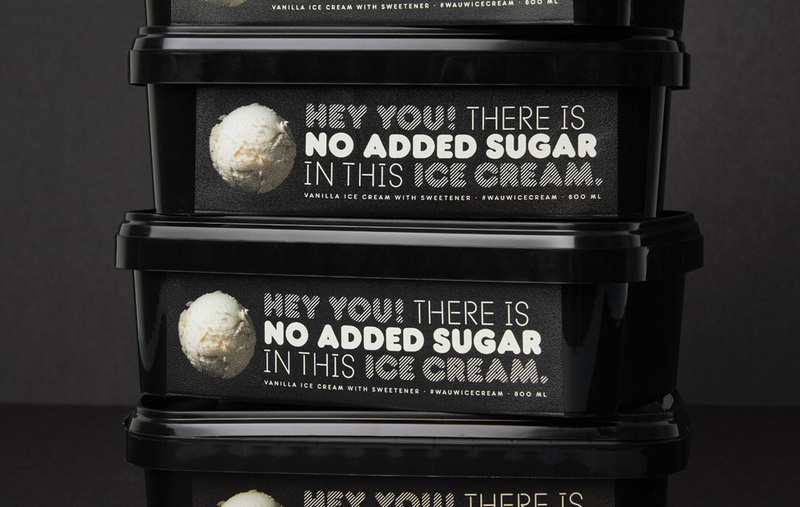 We wanted to avoid the luxury bracket so we used a “tasty” and “kind” typography and form. We used the classic ice cream ball since it’s great as well as geometric. 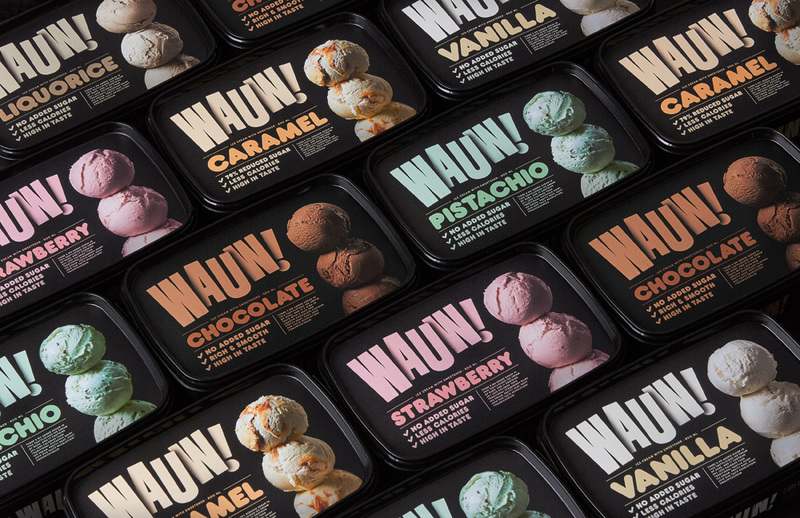 We also added a shadow to the logotype to harmonize with the shadows of ice cream balls. The old logo wasn’t good nor inspirational but it wasn’t overly bad either. 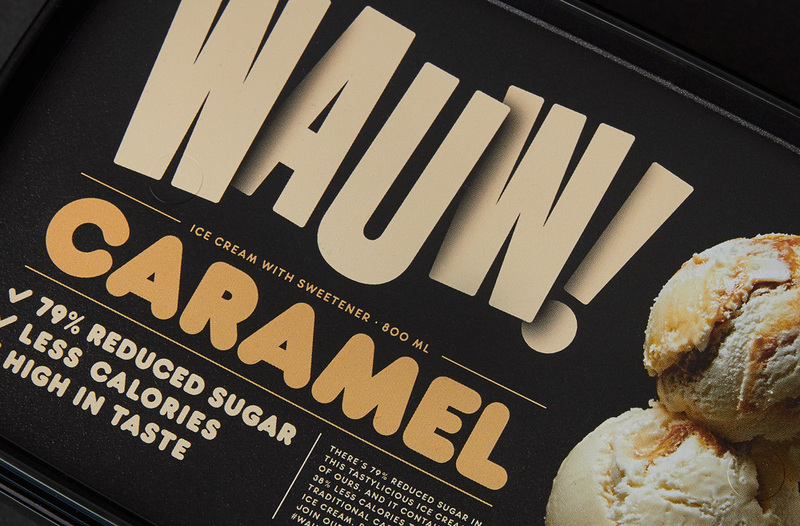 The chosen typeface was a kind of cliché for milky products, with an aesthetic that looks as if the letters have been written with a pen that has ink for ice cream. It had a charming, naive, small-product look. 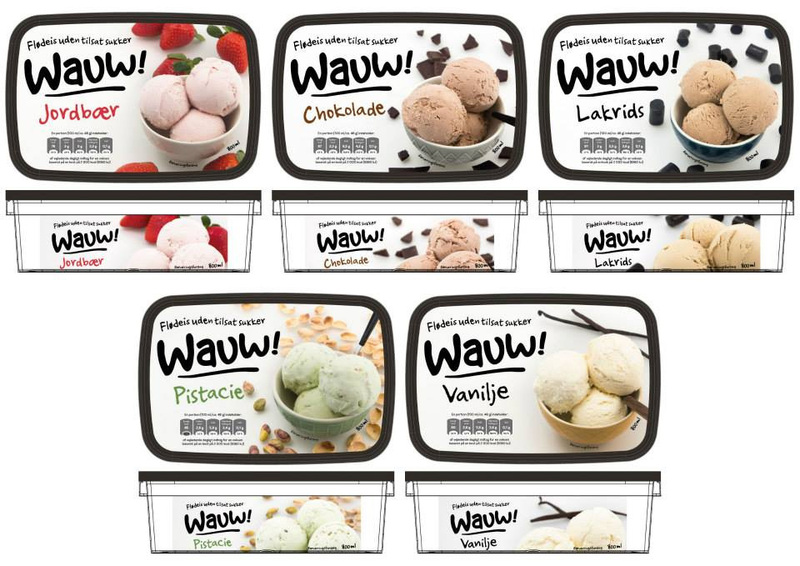 The new logo, rather than trying to look like ice cream, captures the essence of what it’s like to eat awesome ice cream… this is what your taste buds are like when you take that first spoonful: WAUW! in all uppercase and excited. The condensed typography works great in making the short word feel larger than it is and the soft shadows give it a lovely sense of dimensionality. The logo on its own is a fun piece of typography and it’s perfectly integrated in the packaging along with the other identity elements. You know you have a winning project when ice cream scoops are part of the asset library. Before (right) and after (left) packaging comparison. The old packaging elicits the same reaction as the old logo: not good but not terrible and decent enough to be on the market. The product photography was actually pretty good and the logo worked well in tandem with it. 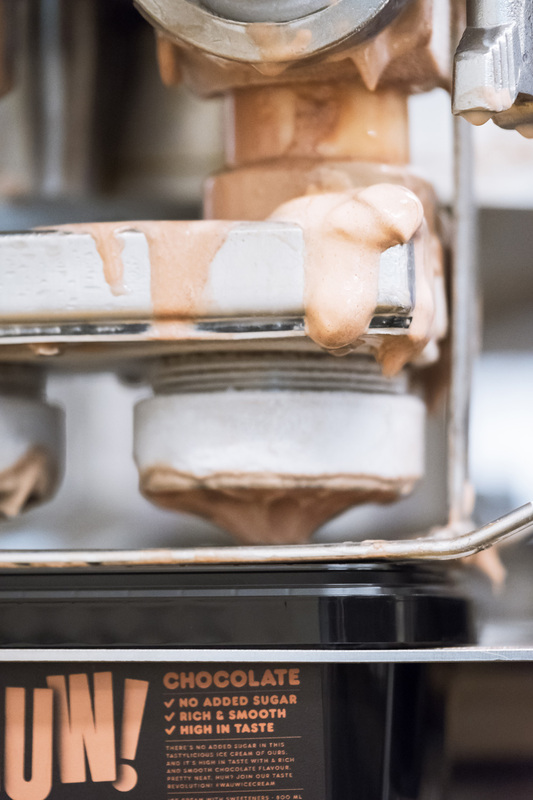 The new packaging is a major improvement in making the product feel more premium, more exciting, and much more distinct than any other ice cream on the market. The all-black backgrounds allow the colorful logo to stand out and make perfect use of the shadows that integrate seamlessly into the black. The complementary rounded sans serif is an unexpected choice but it’s a great structural complement to the condensed logo. 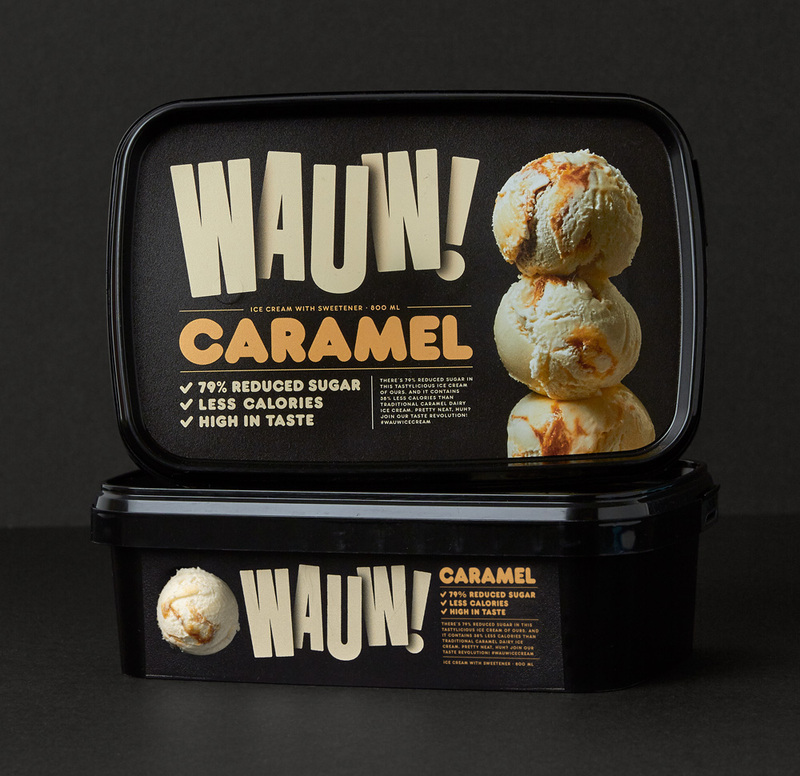 I’m sure a larger manufacturer of ice cream would say “but that font is fat and we don’t want our customers to think they are going to get fat”. The ice cream scoops are beautifully photographed and it’s amazing how well they convey the flavors without having to show actual pistachios or strawberries scattered in the background. 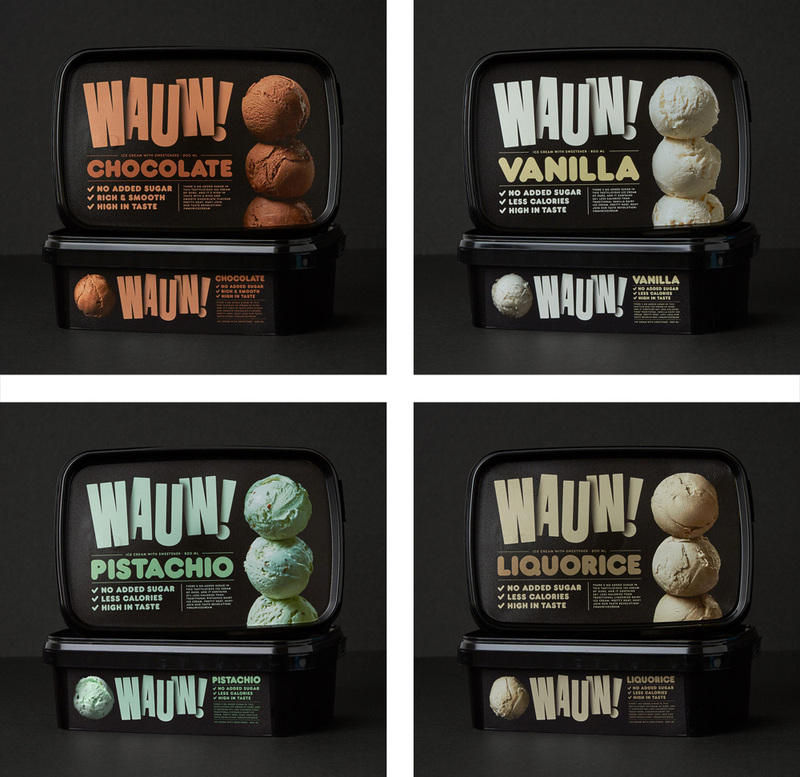 And major bonus points for actually photographing the different flavors and not just Photoshopping the same scoop to have different colors. The overall arrangement of the elements in the layout is bold and pleasant. Ice cream, process shot. Can I lick it? 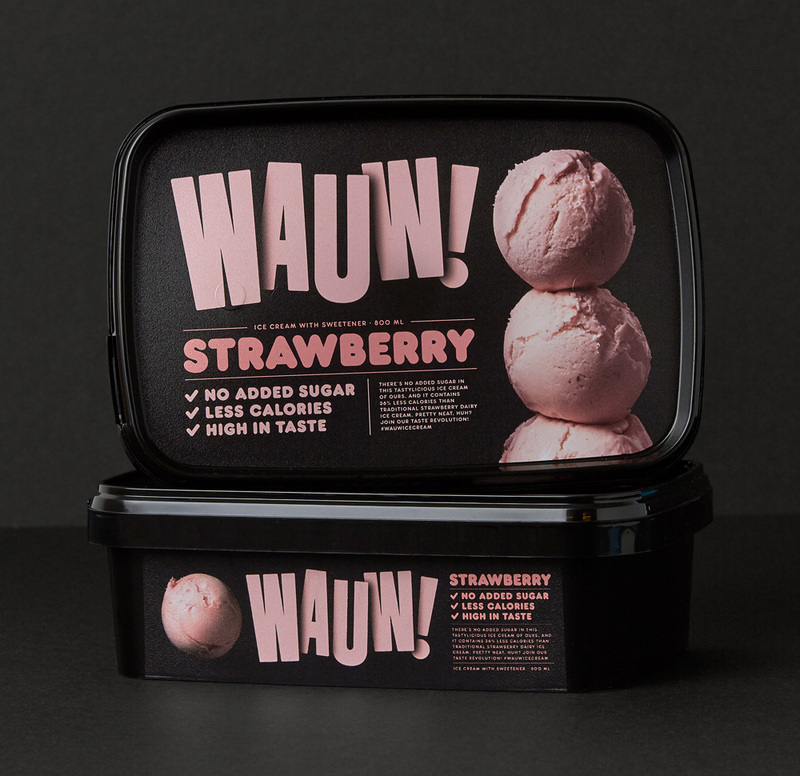 The website shows more of the identity application beyond the packaging, where the rounded sans serif plays a bigger role and is complemented by a striped version and a thin, stencil font that add to the overall typographic texture. 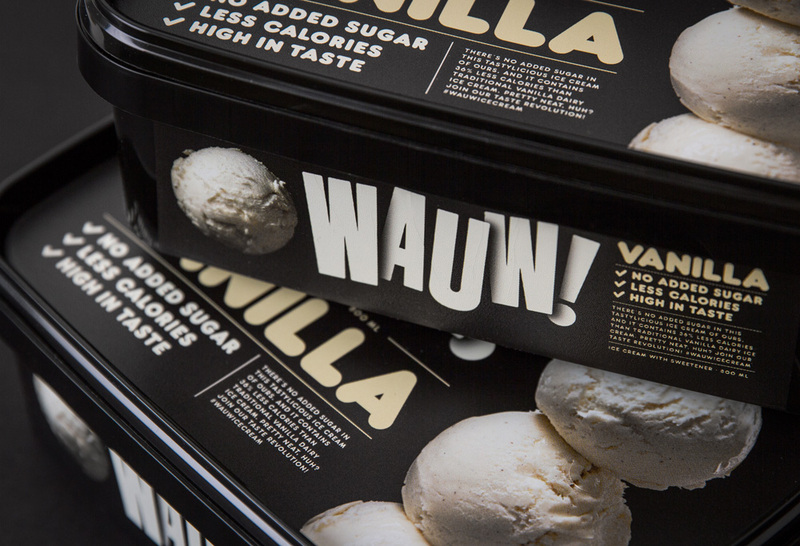 Overall, this is some fun, bold-looking ice cream that looks equally premium and accessible.